By being guided by a Women’s Health Physiotherapist through the pregnancy process, as well as collaborating with your GP, you can expect to benefit greatly from treatment at our clinic. Heart rate increases by 15 beats per minute as more blood is directed to the uterus, kidneys and digestive systems. Blood Pressure increases to ideally around 140/90. Expected weight gain is 10-12kg over the 9 months. Relaxin is a hormone that is released throughout the body during pregnancy. This causes laxity of ligaments throughout the body resulting in increased range of movement. This alludes to a common condition known as Sacro-Iliac Joint (SIJ) pain. Common activities where this occurs is walking, getting in or out of the car or rolling over in bed. 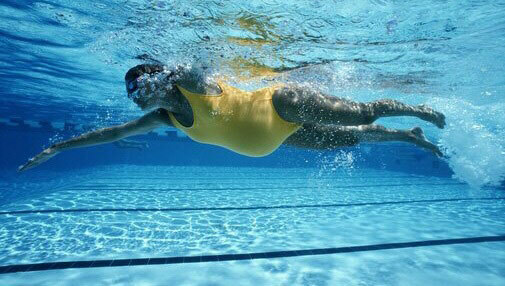 The centre of mass shifts forward as weight increases during pregnancy. This can reduce stability and your walking pattern can become impaired. The resulting increased curvature of the spine and forward tilt can cause lower back pain and/or pelvic pain. Connective tissue stretches around the stomach muscles as the baby grows which can be quite painful. The gluteal muscles and hamstrings tighten as load increases. Maintain good movement patterns and reduce stiffness. Clear your state of mind and help concentration, well-being. Help or prevent fluid retention, leg cramps and varicose veins. Prevent or relieve lower back pain. Minimise excessive maternal weight gain which can contribute to gestational diabetes. Improved functional activation of the pelvic floor muscles. Specific strength work to assist in the post-natal recovery. We want to target flexibility, mobility, strength and specific core work for exercise during pregnancy. Flexibility is crucial to maintain length in the muscles and to be able to perform daily tasks without too much effort. Mobility revolves around staying active and to maintain the elasticity in the muscles as well as healthy joint movement. Strength is critical to assist the entire body systems to be able to function. It is common to not know where to start in terms of exercise during pregnancy. 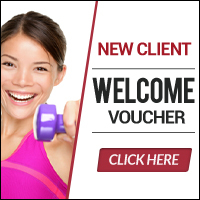 It is a particularly common theme we see at Sport & Spinal Physiotherapy Gungahlin. A Women’s Health physiotherapist will undergo a comprehensive assessment, utilise a real-time ultrasound machine to ensure correct muscle activation as well as provide you with tailored exercise regime to do at home or in the gym. This will include general advice on cardiovascular, weight training exercises as well as stretches and core stability exercises. As treatment progresses, we strive for self-management as the final goal to ensure you stay strong for a long period of time. If you are currently exercising (which we hope you are!) we will go over what modifications that may be required. Current physical activity guidelines for healthy Australian adults indicate that strength training should be performed 2 days a week. Furthermore, exercise should be undertaken at a moderate intensity whilst accumulating 150-300 minutes per week. These recommendations apply to the pregnant population! Ideally exercise is carried out to at least the 32 week mark. This is to maximise gains, maintain mobility and assist with circulation. At around the 16-17 week mark, lying on your back (supine position) should be used sparingly. This is due to the weight of the uterus increasing, thus can limit circulation. Sideline can be a very comfortable position as well as a safe position to rise from the ground into standing. It is also a really effective position to commence some strength work – such as clams. Lying on your stomach (prone position) is generally considered safe for the first trimester. General consensus surrounding this area is that once your bump develops, it will essentially become more uncomfortable lying on your stomach which will be the restricting factor here. Use of a belly pillow or modifying exercises in 4 point kneel is a nice way to keep pushing through important core work in this pose. Cardio class – treadmill, cross trainer, bike. Pilates – both matwork and reformer. Please note – the aforementioned tips are guidelines. Your physiotherapist will collaborate with your GP and/or Obstetrician to formulate the best outcome for you as an individual. It comes back to a team approach- this also includes your partner! I am also really excited to announce that a specific Mums and Bubs class will run from Term 1 (February 6th onwards) on a Wednesday at 11.30a.m. Bringing your new bub is, of course, equal parts allowed and encouraged! Hope to see you there! Quick Guide to Hypermobility – are your joints too loose? Mother’s Day: 6 Health & Wellness Gifts for Mum Top 3 Reasons Pilates Can Fix Your Back Pain Post-natal Pilates: Is it right for you? Great article- thanks Jim! Can you please confirm if there will be a Mums and bubs class run in terms 2 and 3, and if so dates? I look forward to hopefully coming along to future classes once baby #2 arrives. Thanks! Thank you Pauline! At this stage, yes we will be running Mums and Bubs in terms 2 and 3. The first week of term 2 should be Wednesday 1st of May. Wishing you the best of luck for the exciting times ahead!